Superdry women's Tencel cargo shorts. 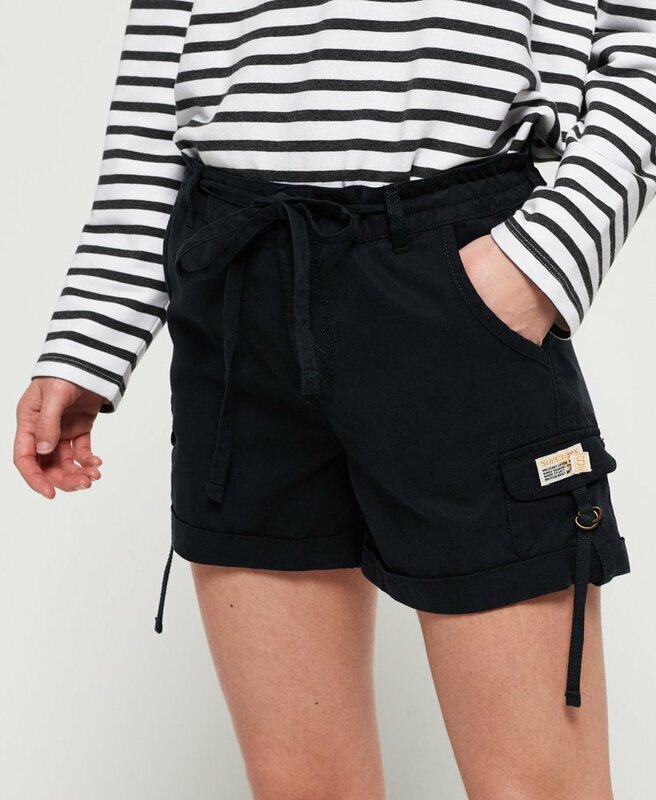 These shorts feature a button and zip fly with a tie fastening, two front pockets and two side pockets with a buckle fastening. Finished with a Superdry logo Badge on one side pocket and on the back. Will look great with a vest top and sandals this season.